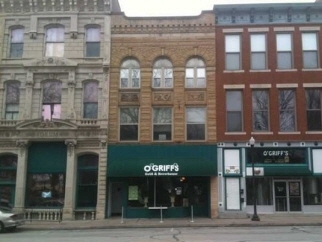 Amazing opportunity to own your own business in downtown district! Full bar/grill, large reception area, and micro-brewery. The 2nd & 3rd floors consist of apartments (9 total) fully rented and producing income. Roof is a rubberized membrane. 9 units to rent for income. 3 businesses on main floor.